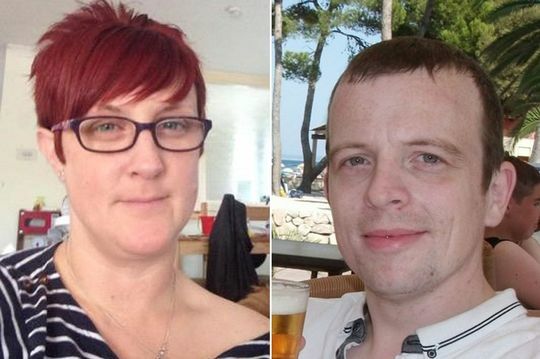 A bigamist wife was caught out after her confused husband saw pictures of her second wedding day she posted on Facebook. Lisa Everard, 35, desperately claimed the pictures were of her as a friend's bridesmaid when first husband Elliott saw the snaps of her walking down the aisle in a white wedding dress. But suspicious Mr Everard checked the marriage records at the register officer and discovered she had illegally married secret lover Michael Hughes. After the deceit was exposed, the mum-of-four left their large country home near Chepstow, Gwent, and moved in with Mr Hughes in a terraced former council house,Daily Record reports. Mrs Everard pleaded guilty to one count of bigamy but was spared a period behind bars after a judge ruled it was not in the public interest to impose an immediate custodial sentence.The court heard Lisa Everard has suffered post natal depression after the birth of her youngest child. Mrs Everard was handed rehabilitation requirement and she will have to carry out 150 hours of unpaid work.